Should I cancel No Fault insurance if I move out of Michigan? I know, Michigan auto No Fault insurance is expensive. 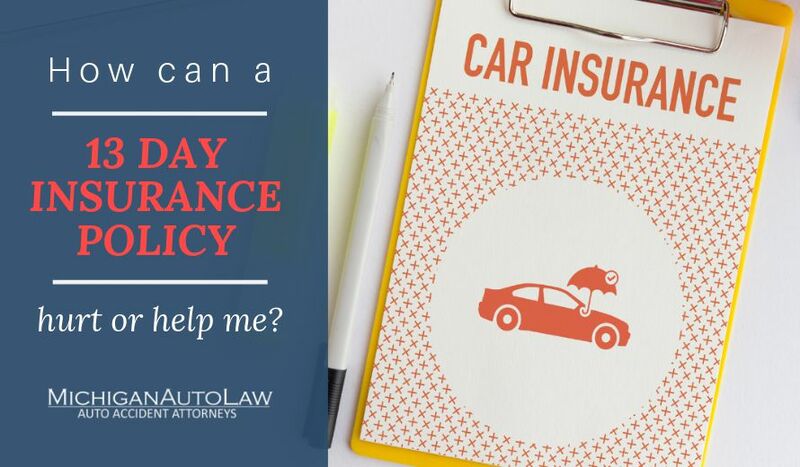 If you’re planning on moving out of Michigan and becoming a resident of another state, you’re probably looking forward to insuring your car in your new state and cancelling your auto No Fault insurance in Michigan — although I should add that as a lawyer who helps people seriously hurt in car accidents, that Michigan No Fault insurance you have is still the best bargain around for protecting you and your family if you’re ever seriously hurt in a car crash. But first to today’s blog: Make sure you’ve got all of your Michigan-related affairs wrapped up and put away before you cancel your No Fault car insurance. Otherwise you might end up like car accident victim Gordie Russ. He was in between moving out of Michigan to Phoenix, Arizona, at the time of his car crash, but he was frequently still driving in Michigan for work and to see his girlfriend. That meant Russ had to register his car, which he had done. Even though I am a licensed Michigan lawyer, I do handle very serious injury and wrongful death truck accident and motor vehicle accidents in other states, and I did recently conclude a very tragic wrongful death case in Arizona where a husband and father was killed by a commercial vehicle. Suffice it to say, there is no comparison on which state has better law — it is Michigan. In fact, as the president of the Motor Vehicle Trial Lawyers Association and as a lawyer who puts on national advanced car accident lawyer seminars around the nation every year, I speak with lawyers all over the country. People who complain about Michigan’s slightly higher auto insurance costs have no idea how important it is for people who are seriously injured and need unlimited necessary lifetime treatment and attendant care — compared to pure tort states, where you are completely dependent on the bodily injury insurance policy limits of the wrongdoer. To learn more about Michigan’s auto law, click here. These insurance and registration rules are tricky and, to make matters worse, too few people know about them. Unfortunately, as can be seen in the Russ case, failure to comply with the rules — especially the No Fault auto insurance requirement — can transform a driver into an “uninsured” driver and, thus, subject him or her to very severe, costly and harmful consequences, such as being disqualified from collecting No Fault benefits to treat for his medical injuries, and even to sue the driver who caused the crash for injuries and pain and suffering compensation. It can also lead to criminal charges and license suspension.